Blue tote bag with Black handles and trim. 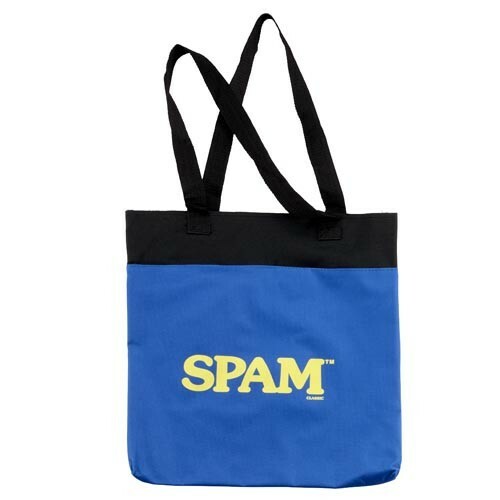 Yellow SPAM® Brand imprint on one side. 14" X 15".